BANCS CHAUFFANTS, AIR CLIMATISE, CAMERA DE RECUL, VITRES ET PORTES ELECTRIQUES, RADIO AM/FM/XM, LECTEUR CD, MODE ECO/SPORT, BLUETOOTH, CRUISE, COMMANDES AUDIO AU VOLANT, ENTREE AUX/USB! 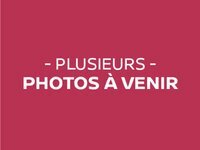 CAPITALE NISSAN, LES MEILLEURES OFFRES A LA MEILLEURE PLACE! 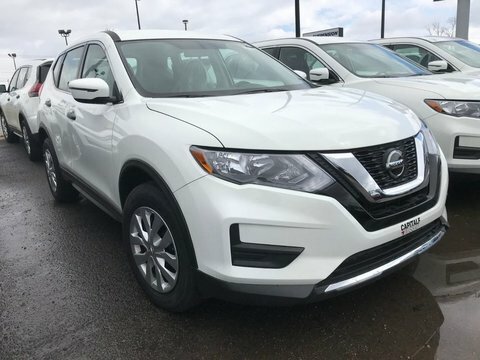 CAPITALE NISSAN C'EST AUSSI PLUSIEURS GAMMES DE VÉHICULES D'OCCASION! QUE CE SOIT POUR UN VÉHICULE DE LUXE, SPORT, COMPACT, SOUS COMPACT, FAMILIALE, FOURGONNETTE, CAMION, DÉCAPOTALE, CONVERTIBLE, 4X4,AWD, FWD, VUS, PICK-UP, HYBRID. PLUSIEURS MARQUES DISPONIBLES; ACURA, AUDI, BMW, BUICK, CADILLAC, CHEVROLET, CHRYSLER, DODGE, RAM, FIAT, FORD, GMC, HONDA HUMMER, HYUNDAI, INFINITI, JAGUAR, JEEP, KIA, LAND ROVER, LEXUS, LINCOLN, MAZDA, MERCEDES, MINI, MITSUBISHI, NISSAN, PONTIAC, SATURN, SCION, SMART, SUBARU, TOYOTA, VOLVO! PLUSIEURS NISSAN DISPONIBLES, S, SV, SL, SR, PLATINUM, NISMO, NISMO RS, PRO-4X, AWD, FWD, AUTOMATIQUE ET MANUELLE! NOUS OFFRONS LE FINANCEMENT, AINSI QUE LE FINANCEMENT DE 2E ET 3E CHANCE AU CREDIT! 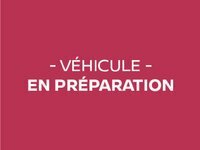 TOUS NOS VEHICULES SONT RIGOUREUSEMENT INSPECTES AFIN DE VOUS OFFRIR CE QU'IL Y A DE MIEUX! PRENEZ POSSESSION RAPIDEMENT D'UNE VOITURE EN FAISANT UNE DEMANDE DE FINANCEMENT EXPRESS : http://www.capitalenissan.ca/fr/formulaire/inventaire/demande-de-financement/10 NOTRE DEPARTEMENT DES VENTES EST OUVERT DU LUNDI AU JEUDI DE 9H À 21H ET LE VENDREDI DE 9H À 18H, ON VOUS ATTEND! 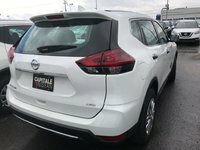 CAPITALE NISSAN 125 RUE MARAIS QUEBEC, QC G1M3C8 A QUELQUES MINUTES DE LEVIS, CHARLESBOURG, STE-FOY, BEAUPORT, ST-NICOLAS, PORTNEUF, BOISCHATEL, VANIER, CHARNY, SAINT-REDEMPTEUR, SAINT-ROMUALD, CHÂTEAU-RICHER, LORETTEVILLE,SHANNON, ANCIENNE-LORETTE, SAINT-AUGUSTIN, LAC ST-CHARLES, LAC-BEAUPORT, SAINTE-BRIGITTE-DE-LAVAL, BEAUMONT, ST-HENRI, ST-JEAN-CHRYSOSTOME, SAINT-LAMBERT-DE-LAUZON, SAINT-AGAPIT, SAINT-APOLLINAIRE, NEUVILLE, VALCARTIER! Cylindres : Moteur à 4 cylindres 2.5L - 4 cyl. Class A : 6 months or 10,000 km., GARANTIE PROLONGEE DISPONIBLE! 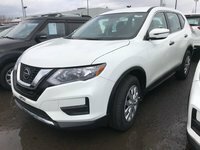 Le Nissan Rogue AUTO*AWD*NOUVEAU+PHOTOS A VENIR* 2018 est fait pour vous? Essayez-le!